Villa Stephanos is a stylishly contemporary villa with the advantage of a glorious indoor heated Jacuzzi spa. Standing in it’s own beautiful flower filled garden and surrounded by stunning countryside and hillside villages, Villa Stephanos is a stylishly contemporary villa with the advantage of a glorious indoor heated Jacuzzi spa. 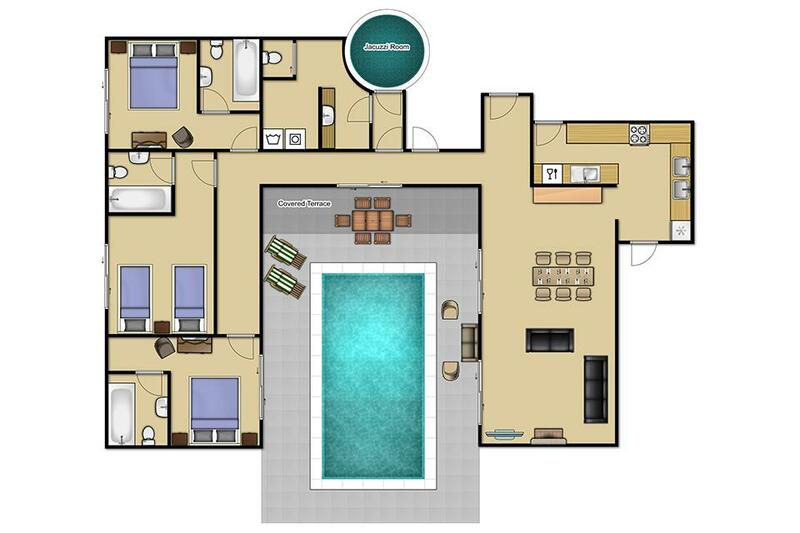 Built all on the ground floor surrounding the superb pool, Stephanos offers 3 spacious modern bedrooms each with their own bathroom or shower as well as the spa wing which features a Jacuzzi hot tub/whirlpool with seperate shower room and some gym equipment. An excellent choice with many regular guests returning year after year. The villa was excellent, well furnished and equipped, very clean and maintained. **Save up to 25% by arriving and departing on the standard changeover day**Situated just metres away from the Mediterranean Sea is Villa Dimitris Blue Bay. 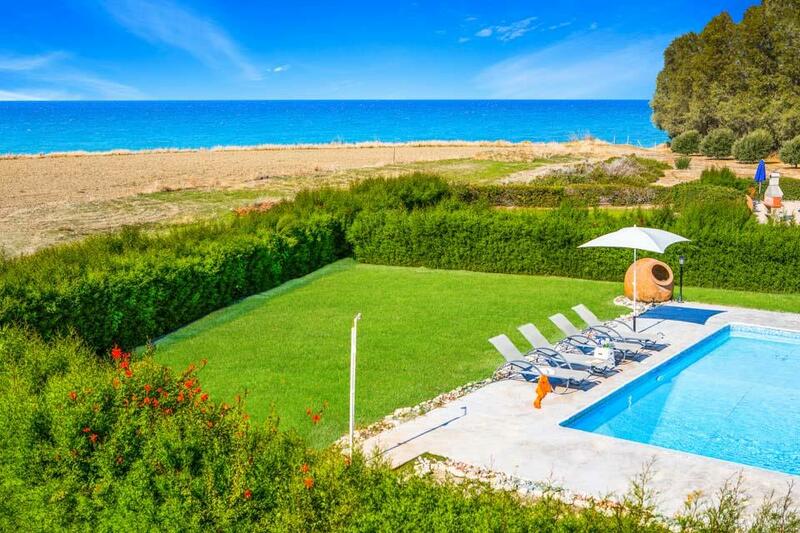 This fantastic sea front villa boasts modern rattan alfresco dining and seating areas to allow..
**Save up to 25% by arriving and departing on the standard changeover day**Positioned almost on the beach, this fantastic whitewashed villa has the most incredible views across the Mediterranean Sea. 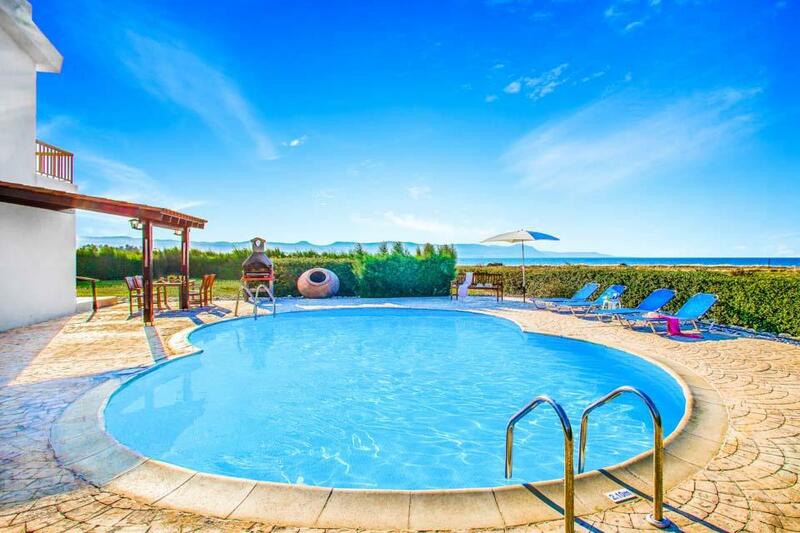 Focused around the large figure of eight shaped pool..
Set in an exclusive development of recently built villas close to the authentic fishing village of Polis and the popular sandy beaches in Coral Bay, Villa Paralia offers everything you could need for a relaxing family holiday. With three good-sized..